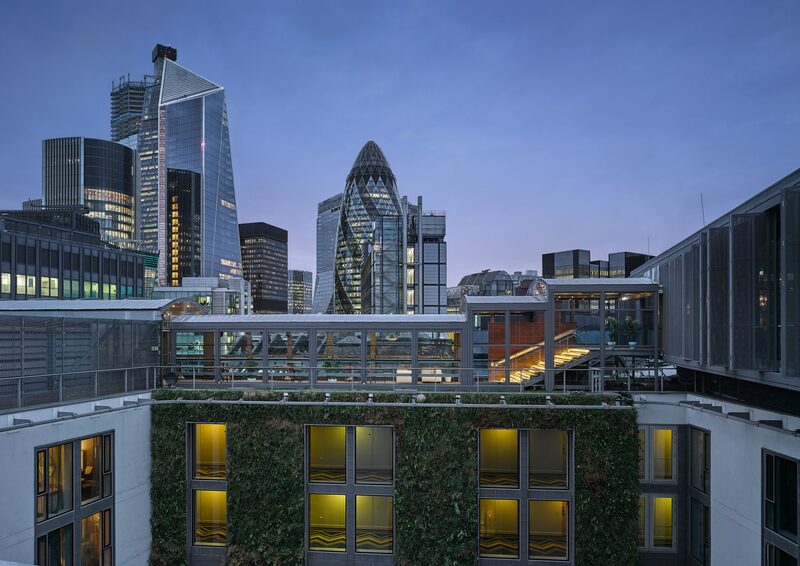 Canopies UK were contacted by The DoubleTree by Hilton Hotel – Tower of London to help with the creation of Savage Garden – a 8,870 sq ft exclusive rooftop bar, featuring a cocktail lounge, dining areas, private spaces and two outdoor terraces. 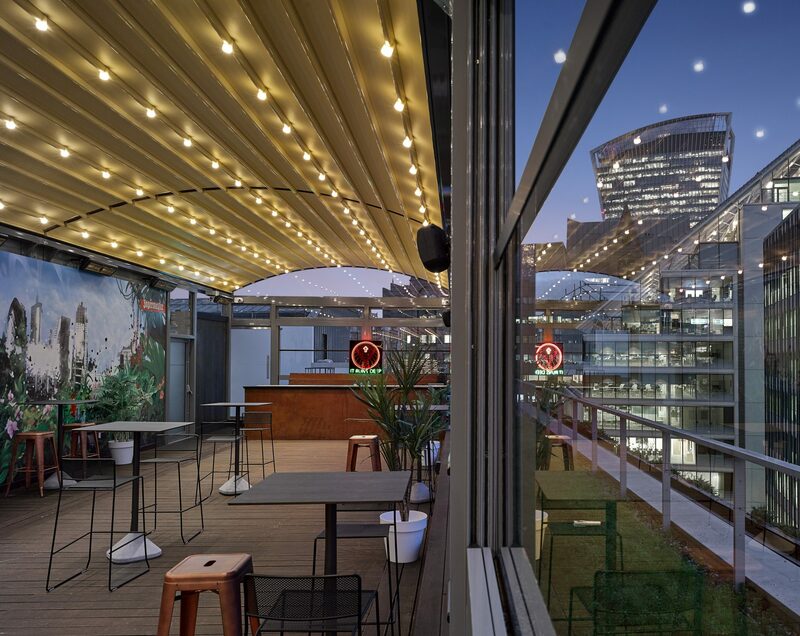 At 12-storeys high, the new bar was at the mercy of the weather, so Canopies UK were called upon to install one of their Cantabria canopies, which features six retractable roofs that can be opened and closed independently of each other at the touch of a button. 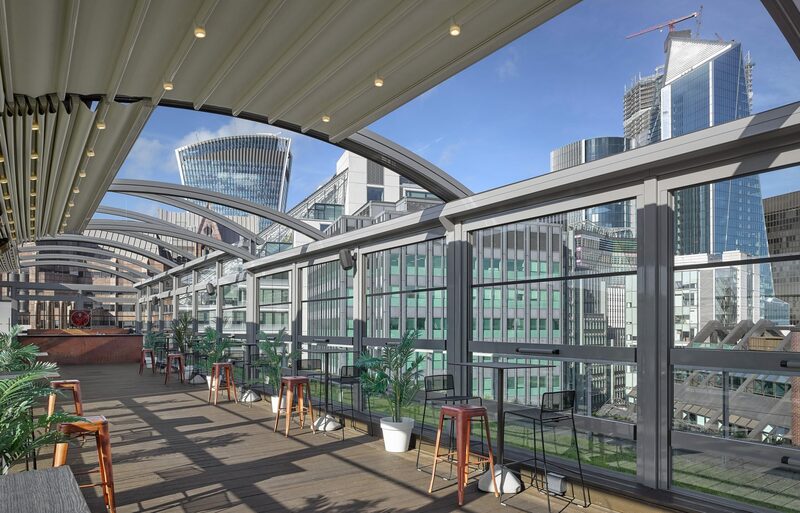 “The canopy’s a real head-turning feature and enables the terrace to be transformed from an al fresco summer hotspot into a winter events space for private hire and seasonal pop-ups quickly and easily,” explains Jason. 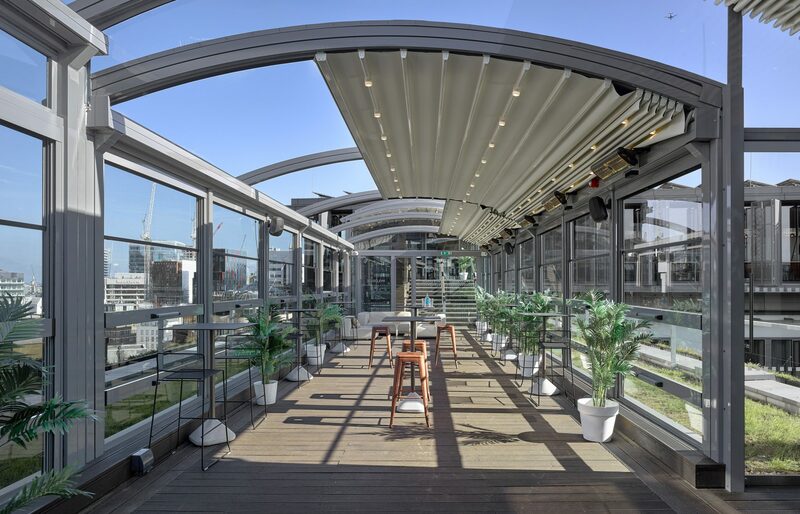 In addition to the highly stylish and unique retractable waterproof roofs, the canopy also features integrated guttering, LED lighting, heating and a combination of fixed and vertical sliding glass screens that can be retracted in the finer weather and partially or fully closed in cooler, wetter and more changeable weather.